Preview Serpent (Book II of The Asterian Trilogy) Today! Here is a special preview excerpt to Serpent, coming March 6th! You can pre-order your copy today at a special 15% off pre-publication discount here. Serpent (Book II of The Asterian Series) Goodreads Giveaway! 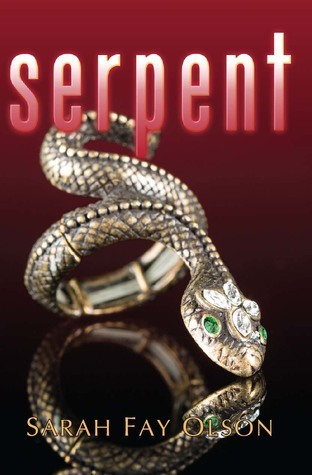 The Goodreads giveaway for an autographed copy of Serpent is now live! Giveaway ends March 06, 2017. I am happy to annouce that the sequel to Sapphire will be released this March! It has been a long time coming as I have been writing it while going through graduate school, but I cannot wait to share it with all of you! It has been seventeen years since the Asterian Revolution, and all eyes are on Princess Aria and the long expected royal wedding. Having grown up in a world of royalty and wealth, Aria has been unable to imagine anything less than perfect for her life. But when an indiscretion threatens to ruin her reputation, the princess finds herself cast into a world of scandal. You can pre-order your copy today at Soul Fire Press! I hope everyone has had a great New Year! Sarah Fay Olson is the author of The Asterian Trilogy.